Update 12/10/18 - Transfer partners are now live! Capital One also added two new partners in Emirates and Singapore Air, albeit at a less favorite exchange rate. 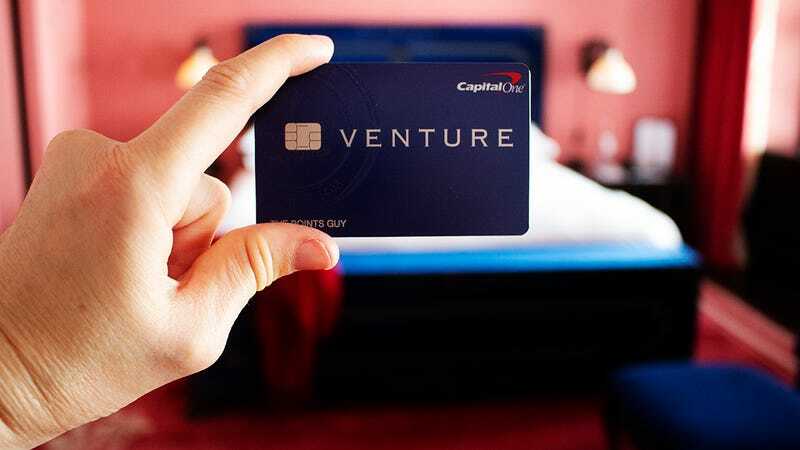 Capital One’s Venture card has always been a bit of a hybrid between cash back and travel rewards cards. While you could earn a lot of points through Hotels.com, and erase travel purchases from your credit card statement by redeeming them, you couldn’t transfer them to any airline programs like you could points from Chase and Amex. That just changed in a big way. Obviously, none of those are the U.S.-based airlines, and there are no hotel chains included, but these partners could come in handy for international trips, and some even offer potential savings on domestic flights. For example, Air France’s Flying Blue program often has better points rates on U.S. Delta flights than Delta itself. Ditto Air Canada Aeroplan miles and United flights. The 2:1.5 transfer ratio isn’t as generous as the 1:1 ratios you’ll find on some other programs, but since you’re earning two points per dollar with the Venture card, it’s basically like earning 1.5 airline miles per dollar, which is pretty solid. If you don’t want to transfer your points, nothing else is changing, and you can still use the Venture Card’s Purchase Eraser feature to cover any travel expense you want at a rate of $.01 per point. Capital One is also bumping the welcome offer up to 75,000 points after you spend $5,000 in your first three months, for a limited time. That’s up from the typical 50,000 points after spending $3,000. Since a lot of these partners overlap with other credit card ecosystems, this could be a flexible addition to your wallet, even if you’re already all-in on Ultimate Rewards or Membership Rewards.